Yet again I have to apologise for a long absence, I’ve had a very busy couple of weeks. I finished the website I was making for a friend who makes polymer clay jewellery. 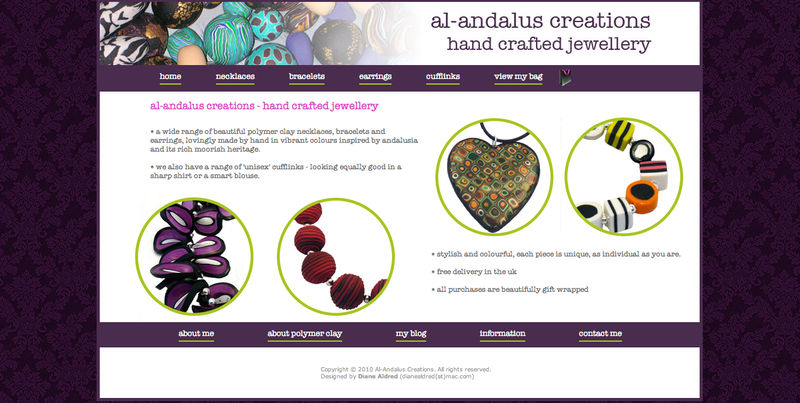 It’s my first e-commerce website called Al-Andalus Creations, it went live last week and he has started selling the jewellery and it all seems to be working as it should which is a huge relief. I also set up a blog for him today and he has a Facebook fan page, so it’s all go! Here’s a screenshot of the home page. 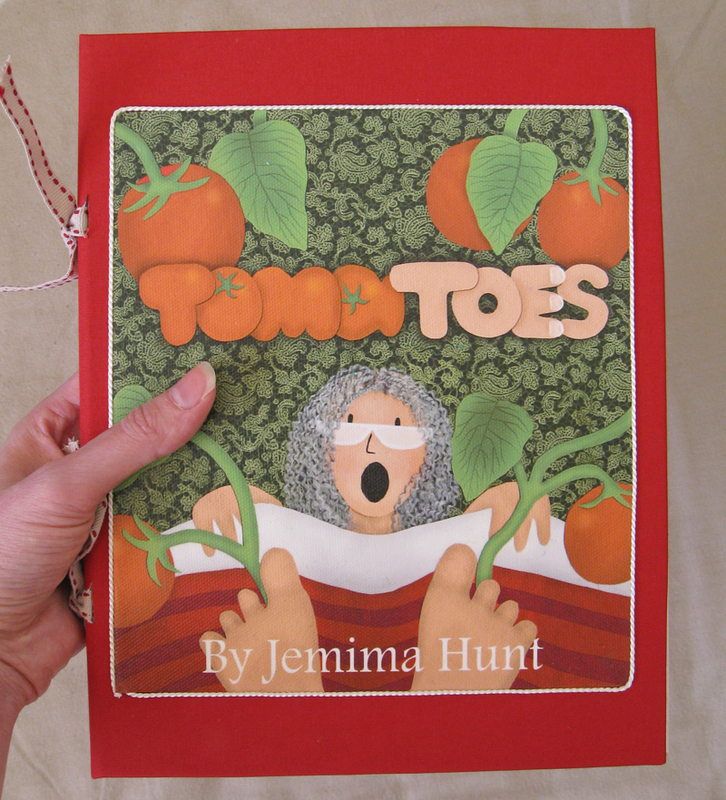 I also helped my young friend Jemima Hunt bind another book for her uni illustration course. You might remember she did a set of illustrations for the book ‘Roverandom’ by J.R.R.Tolkien and we bound the book last year. For her extended final project, she has been making collages to illustrate a children’s story she has written called ‘Tomatoes’. It is SO good. You can read about the making of ‘Tomatoes’ on her blog but here are some photographs I took during the process. 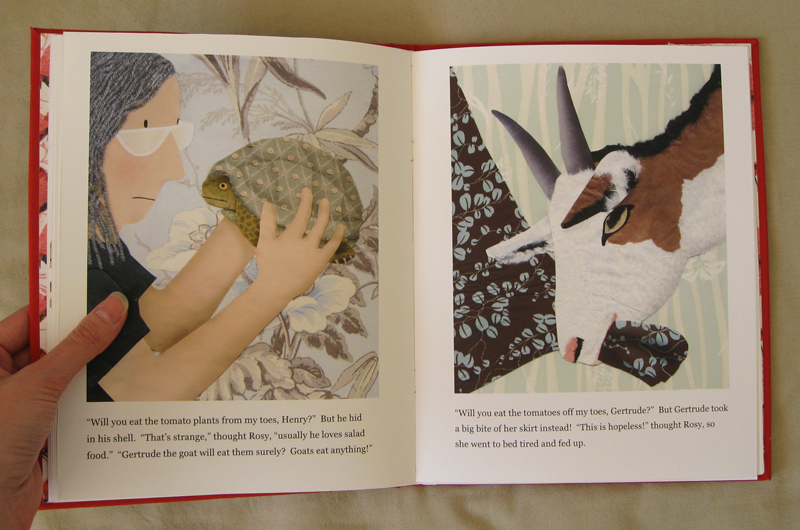 Bear in mind all these illustrations were originally collages – they are so clever. 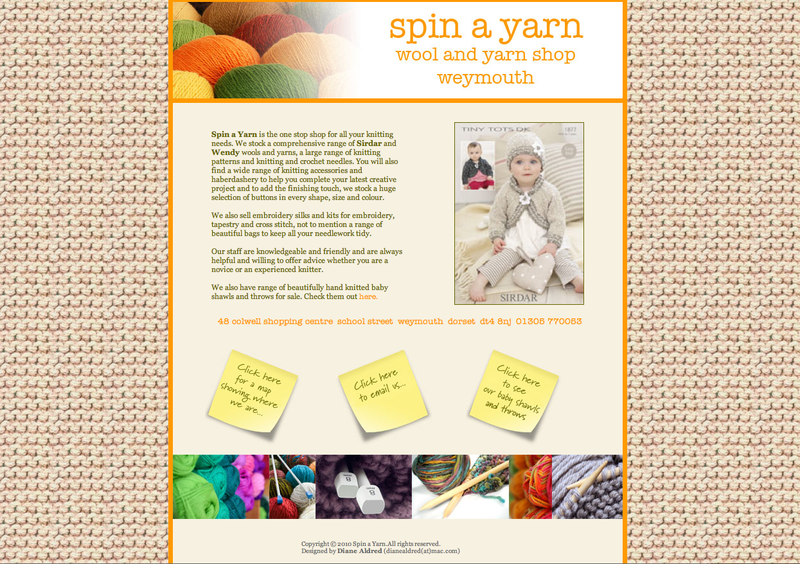 I’ve also been putting the finishing touches to another website, this one for a wool shop in Weymouth called ‘Spin a Yarn’. They have a selection of baby shawls for sale which are hand knitted by the staff and they are so pretty. They are also going to be selling crocheted throws – have a look at those too! I’ve also been trying to keep my photoblog up to date each day which I must confess is proving harder than I anticipated. I have had to resort to trawling through my iPhoto library when I haven’t had time to get out and take a new image and am fast running out of suitable images. It’s a very good discipline and is making me be more discriminating about the thousands of photographs I have in my library (not to mention the thousands of photographs in boxes which aren’t digital). 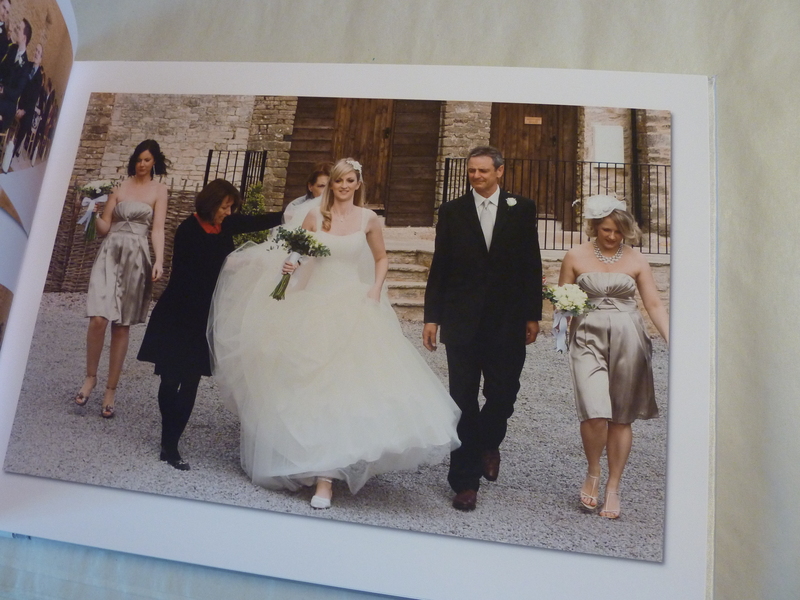 I was just having a rummage through a large box of old photos to find a particular one. 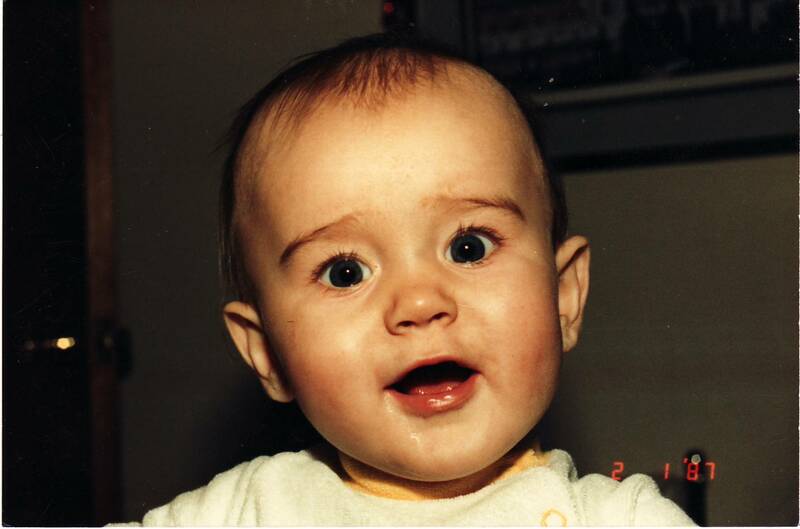 Yesterday was my youngest son’s 24th birthday. As usual, my ex rang me up to wish me a happy birthday – a tradition he started when my first son was born and he has continued to do ever since. As he says, in a way it’s my ‘birth’ day too :-) Here’s the photograph I was looking for, the birthday boy aged about 9 months. Soooo cute. Well, as a graphic designer/tiny publisher I would just like to say that Jemima certainly has the chops. As a bit of an obsessive/compulsive myself, I am most impressed by her commitment to the work in making all those collages. Lucky you are her friend. Oooh, what a nice baby! It’s a fabulous piece of work for sure. As for being a bit OCD, I have just covered an album I am making 4 times trying to get it right. Finally, perfection. Phew! Goodness, I knew you were busy, but I didn’t realize just how much you have accomplished lately! You have a great eye for design; those websites look wonderful!! Congratulations on all your productions,,,especially the human one. What an adorable baby! LOL I actually found tomaTOES pretty funny and witty. Wonder what the story would be like, pretty curious how it turns out. Thank you! I love being busy – rather that than bored any day! An Impressive piece of work! You let out the creative being within you. Anyway.. keep posting!